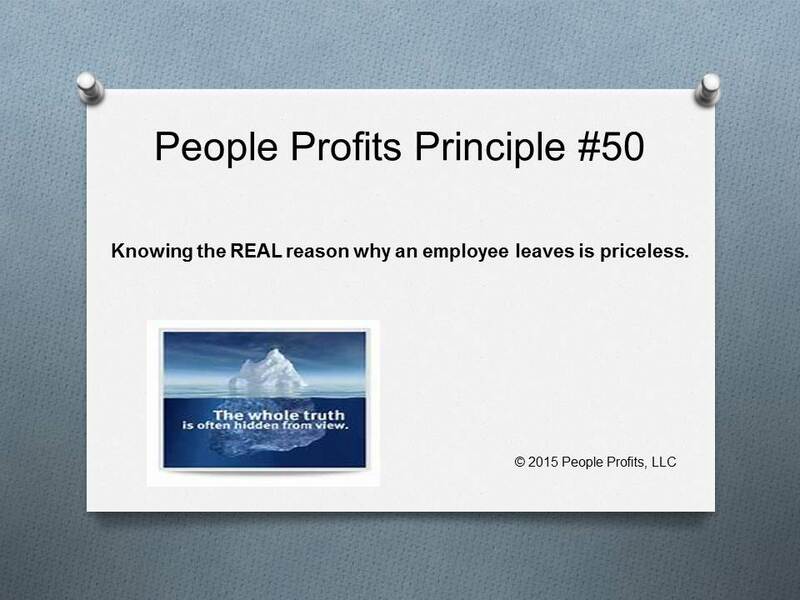 Have you ever had an employee leave and then found out later the reason they gave was not the real reason they left? How many times when you found out the real reason was it better then what they told you? People Profits has NEVER seen that happen. So what are you proactively doing to find out the real reason? Do you think your strategies and tactics would change if you knew the real reason? Seldom do you get the real reason why someone is leaving with an exit interview. So how do you learn the real reason? People Profits has strategies and tactics to make this happen. We have found that our strategies and plans always change once we start getting the whole truth.